The inconspicuous and ordinary material you encounter in your everyday life may be surprisingly relevant for the archives of the future. Only a small portion of printed material created is actually intended for preservation in a collection. As it turns out, often the most captivating and fascinating pieces of a collection are made up of material that was never meant to be retained. It is referred to as ephemera, derived from the Greek ephemeros, "lasting only one day, short-lived." Examples of ephemera that can become coveted and valuable over time includes advertisements, menus, movie tickets and labels. Postcards are another example of ephemera, and the postcards that have survived throughout the late nineteenth and twentieth centuries are valuable additions to our collection. 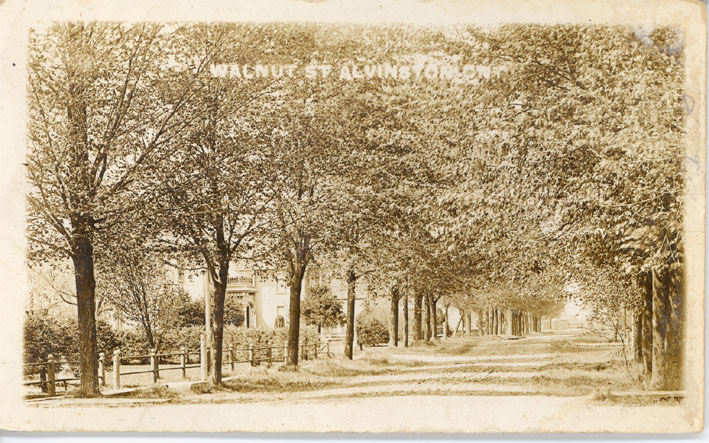 The Lambton Room has acquired scenic postcards that provide excellent glimpses of Lambton County's rural and urban scenery. These postcards are a powerful addition to our collection; sometimes a postcard provides the only image of a particular building or place. 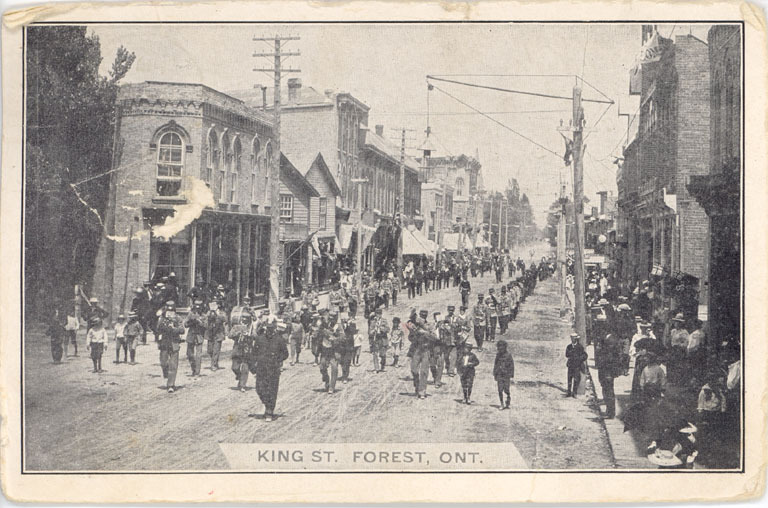 Although not all the postcards in our collection have messages and addresses (some are blank), the ones that were used provide us with extra information. 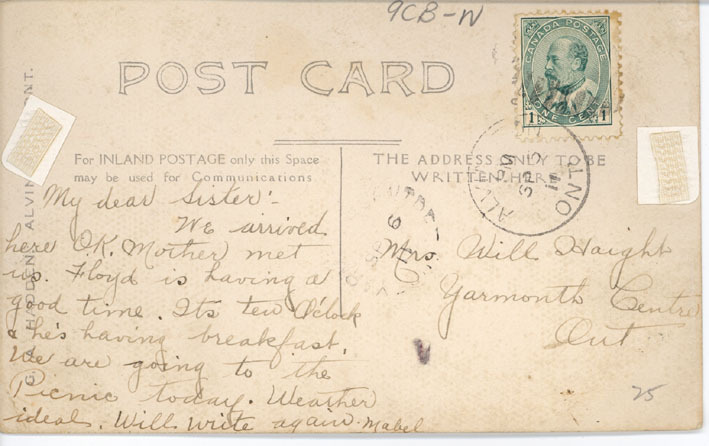 They create a small window into the life of the individual who wrote and mailed the postcard. Occasionally the postcard writer comments on events occurring in their town, providing us with insight into the community. 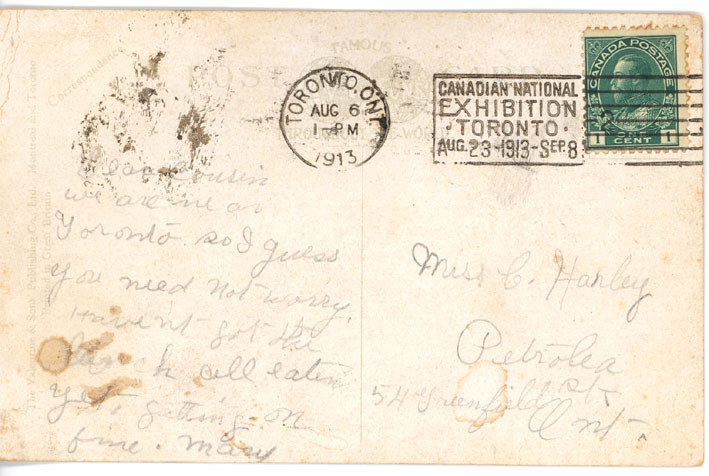 Additionally, the postmark provides exact information regarding when and where the postcard was sent. 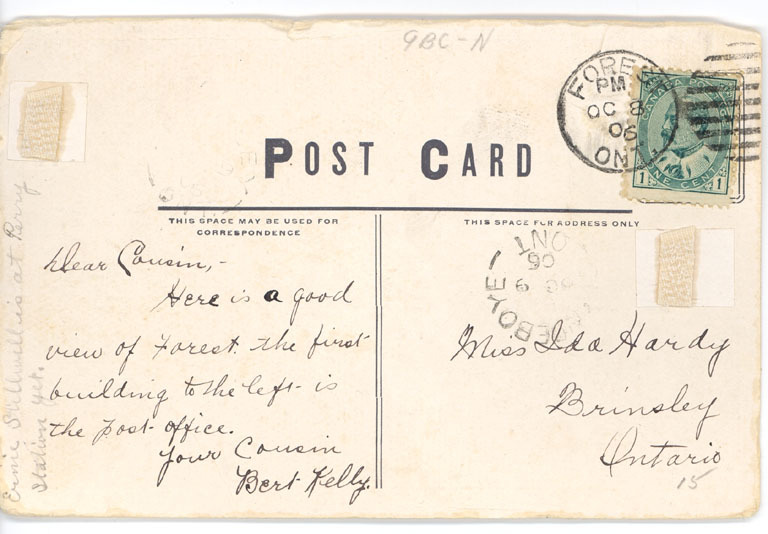 This is critical from a historical point of view; the postmark can be used to help estimate when the image on the postcard was produced. Vintage postcards are a fun and fascinating window into the past. Sometimes, the best parts of a collection are comprised of material that was never built to last. 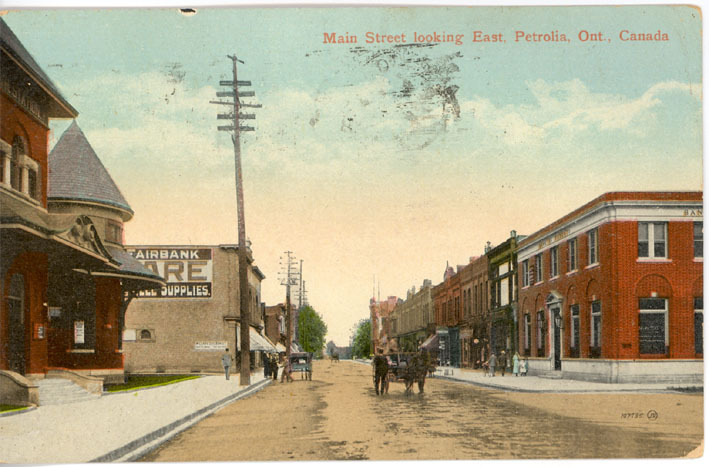 Main Street looking East, Petrolia. 1913.